The obverse shows the emblem of the Republic of Kazakhstan. 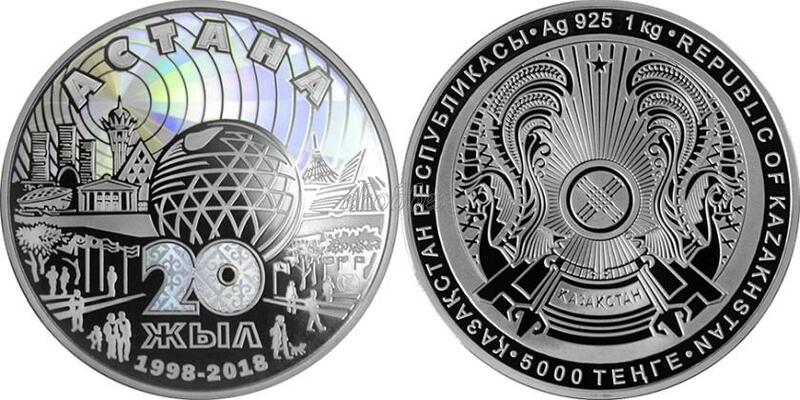 On the coin’s circumference is the denomination of 5000 TENGE in the national language. The text ҚАЗАҚСТАН РЕСПУБЛИКАСЫ and REPUBLIC OF KAZAKHSTAN are also included and encircle the state crest, which is centred. Additional text which denotes coin weight and fineness at the top of the design Ag 925 1 kg.